We are talking about one of the most noble and highest quality parts of the Ibérico pork. Its characteristic aroma and profound flavor as well as its marbled fat make it really unique. 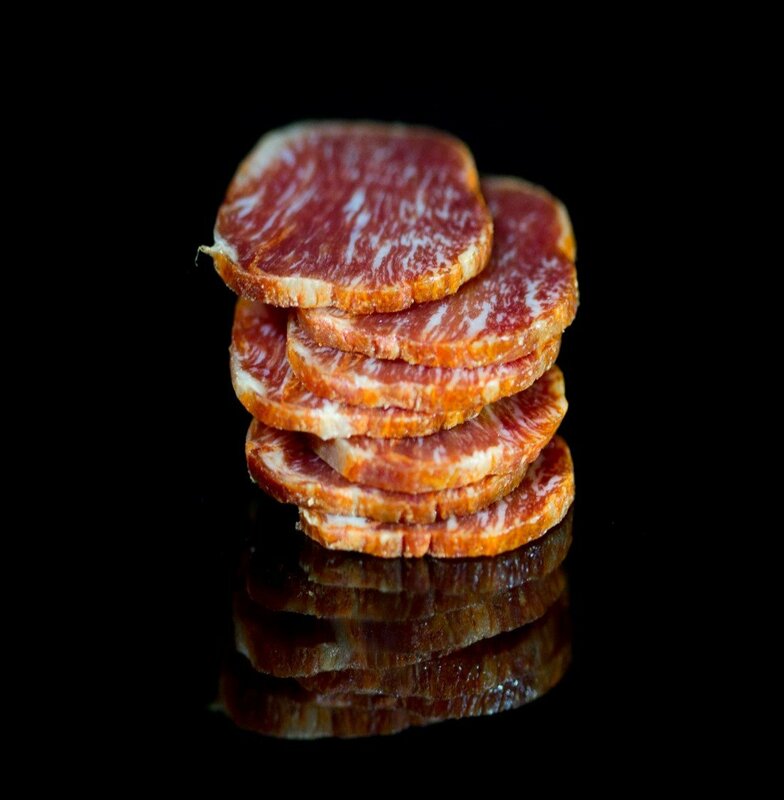 Also, the Lomo Ibérico de Bellota is known for being healthy. It has a high percentage of nutrients and low proportion of fat, cholesterol and calories, which makes it flavorful but also good for your body. 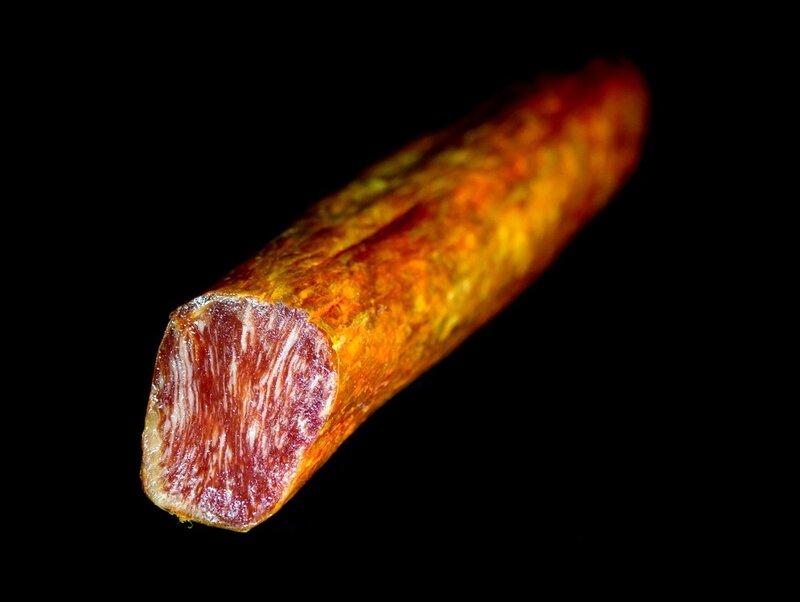 Experts say that after Jamón Pata Negra, the Lomo 100% Ibérico de Bellota is the second healthiest pork meat product. Instead of minced meat, like Salami or Chorizo, it’s the whole piece of Ibérico de Bellota pork loin that is stuffed in a natural casing. It’s made out of 100% acorn-fed Ibérico pork loin without the outer fat, marinated with salt, paprika, and some other spices. After being marinated it is stuffed in a natural casing. It’s lightly smoked in a wood fired chimney and slowly cured in natural dryers. Minimum curing time is 5 to 6 months.